I went to a sustainable carpenter with my aunt who was looking for a piece of wood to make a table, it was amazing! The carpenter explained how he worked with the material and that he had never cut down a tree, but used fallen trees from the woods. He has made a reputation for himself and now every time someone sees a fallen tree, they inform him and he goes there and removes it. He only works with high quality wood and while he was telling me the names of the trees, I remembered that most of them are good for ink making. He gave me some cutoffs of Brazil wood, (I am particularly excited with this one, after all, its what gave my country name! In Portuguese its called "pau brasil" "Brasil wood") and also pieces of Jatobá tree and Carvoeiro tree. I keped them and was very curious to test it, even if it wasn't possible to use in this season. We are having a strong rainy season over here, which makes the plan of exploring surrounding area's ground a little bit difficult. I was trying to do it while on waterfall trails but it was becoming dangerous so had to search in the town itself. This wasn't too much of a problem as most of the streets are not paved. I collected 2 different kind of earth from the roads near a building materials warehouse ( one of them was too wet so I couldn't use this it, but I'm drying it to test it later) and two different kinds of rock from near my house (one of them had the aspect of clay). I read the pdfs program but I was unsure about many steps. First I bought white glue, which is what is normally used to make paints with earth but them I realize it wasn't the right because it’s not natural and I wasn't reusing anything. But I also could not find any Arabic gum or any binder. Ian told me I could use honey and this solved the problem. I had the water for the stone watercolor, the egg yolk for the tempera and the honey for the gouache. ​With the pieces of wood I did the same natural dye process, but with less water and more concentrated than the process we did in the simple ink. ​I added the yolk to the three different kinds of earth and three different dyes made of wood. The same with honey and with water. 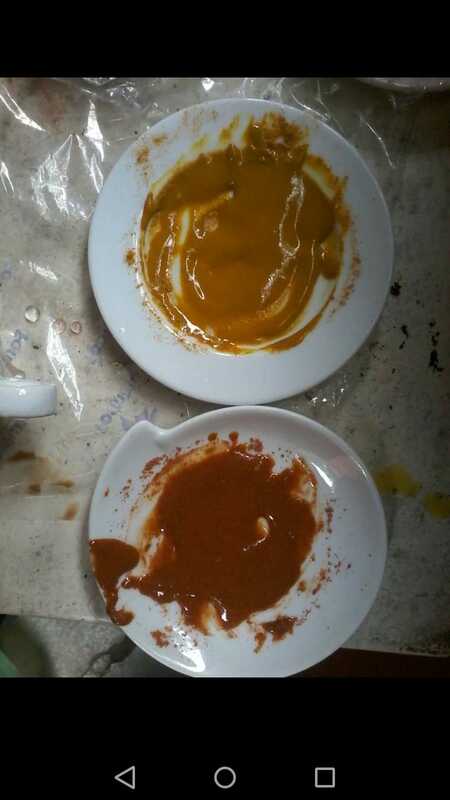 The result was very interesting, the honey gave the aspect of oil painting, it's very bright! And the yolk got doughy. Tempera with dye - It seems that the only dye that worked was the carvoeiro one. The brazil wood and the jatoba resulted in simular colours and it didn't get pasty. I think ii didn't boil them enough or something like this, because I added more yolk and it didn’t change. The Carvoeiro one got a pastel color but when it dyed on the paper got a lot darker! Very nice! Tempera with stone: The stone was a lot different, all of them got a very nice stick and texture. All of them were smooth and thick. Now thinking I guess I had to add a little bit of water, depending the on texture you want to have. I also decided to try with condiments I had in the kitchen such as saffron and paprika. It got even more thick than the ones with earth, but got a nice look and a more vibrant color. Gauche with dye - It didn't work at all! The first two got watery and didn't seem to keep the color and the pigment, the one that worked out ( the carvoeiro dye) had a nice texture on paper and also a nice color but still wet until now ( I did the experience the day before writhing this). Gauche with stone - Here, they appeared to have more texture and where grainier than the experience with the yolk. I didn't have appropriate paper, so I used a normal, basic canson. The paper got a little greasy, but curiously it did not happened with the dye experiment. Why did it become oily with a different pigment if the binder is the same? Watercolor with rock - It's very impressive how different the color of this pigment gets with water, when I used the honey and the yolk I got similar colors if compared with this binder. They were pastel tones and looked like was painting with clay (which makes sense). It has a nice texture but it didn’t slide on the paper. 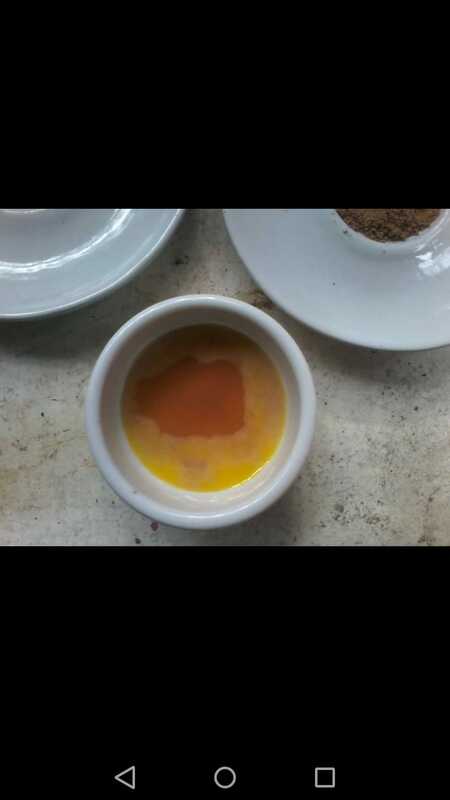 Also, the carvoeiro dye got a nicer look than with the yolk and honey. 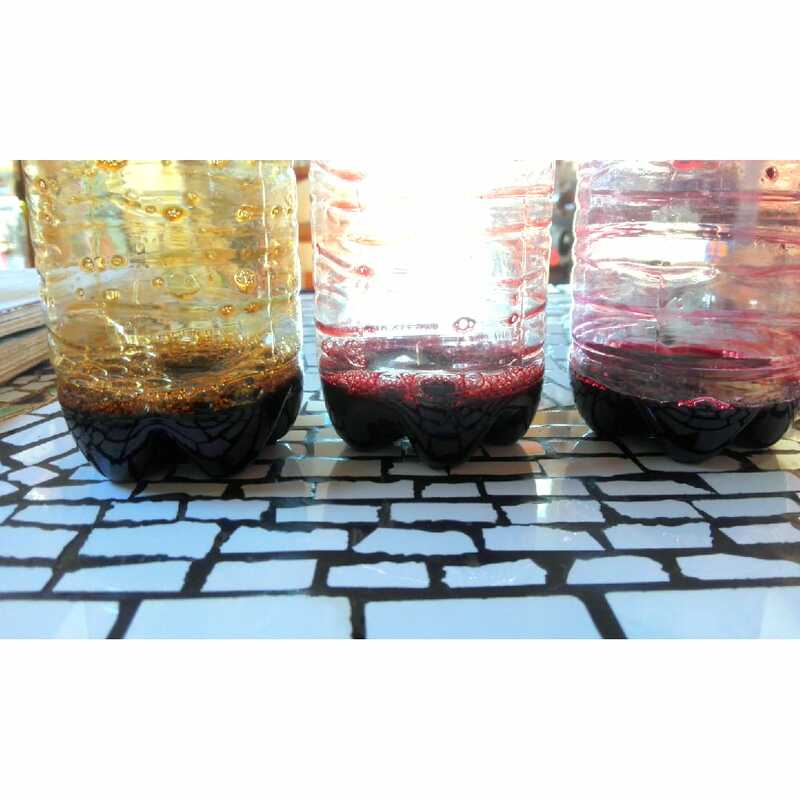 The earth with water looks more concentrated than the other experiments. Watercolor with dye - Using the dye as an ink was the best option for this pigment ( despite the carvoeiro one). You can see the color, the texture and the difference of the color between the jatoba and brazil wood which wasn’t possible when using the other binders. 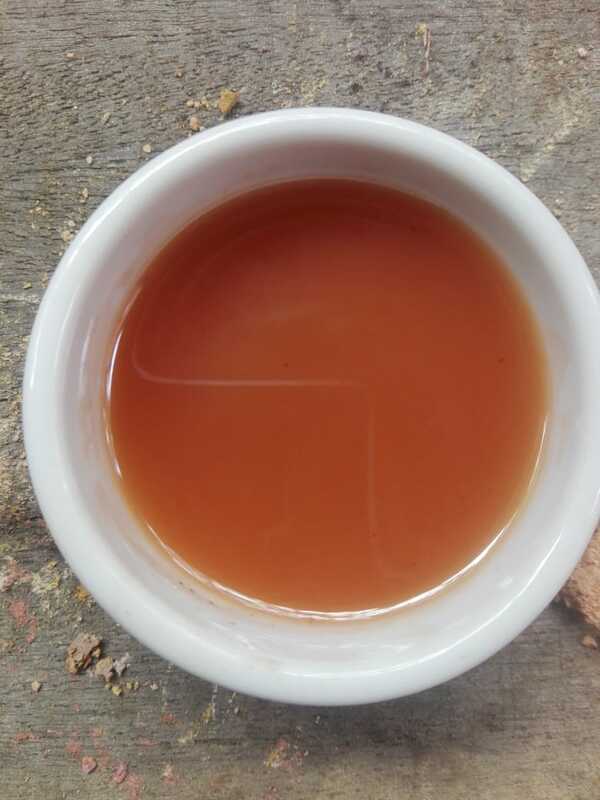 In fact the jatoba resulted in a very, very light color. The brazil wood had a nice color, that makes me think that it would work perfectly on fabric. I am going to try it before next season and share the results! another layer on top. So, it’s a long process and still in progress. It's so incredible, the more we play the more we want to do it! Working with natural pigments is like discovering a completely new world. I feel an impulse to experiment with every single thing. The wood, stones, earth and clay. Its like rediscovering the landscape and I have a difference experience while I walk around in the city or in the woods. Since this online workshop began, I have felt that I am having a different outlook about everything. The way I see earth and botany, has changed. The way I see art has also changed! All these seasons are giving me a new way of living but also a new way to enjoy the world. When we make the dyes, we look for different parts of the tree. We have the fruit, the seed, the bark, the trunk and the leaves. When we boiled them, their perfume spreads all over the house. Some of them with pleasant aromas and another not so much. we step on the ground and feel the grains, the color, the texture and once again, the aroma. We perceive that some rocks are easier to find near t rivers and think about how to paint with all this information and feeling. It's amazing! I mean! We always knew all those things; the forest and what build it up, but when we walk around with experience and information, it's a very different experience. Another day I did a botany course, where I learnt about the names of the plants, their history and how to use them. It changed everything. We walked in the woods, we recognise the plants or not, and when you know every single name and their qualities, its inspiring. The experience becomes more than just " walking in the woods". Its also walking in a library, in a laboratory. We walk in life and in the world as lay people and discover the fascinating knowledge about little things and little pleasures. I'll give another example that will make my works clearer. I was walking around with a friend here in Brazilian savanna and he stopped to look at a landscape. He had tears on his eyes and the said is was so beautiful. The landscape he was looking at was a huge area of just soy, one of the principal factors that is destroying the Brazilian savana. Everything is beautiful when we don't have information. I was excited for this season and I am still! It was amazing and I have the urge to try more and more. It was a nice first experiment. And I think it will be nice to try with beeswax, which is the technique I am searching for since the beginning. I didn’t have beeswax here, but as I am going to the big city to spend Christmas with my family, I will search for it. Also it will be nice to try the natural pigment in another environment. There I will be in the Atlantic forest, lets what I will discover! Also, after reading the experiences of Madelyn I realize I didn’t add anything to preserve the ink and that I could use other kinds of stones. At the start my travel to the big city, I took a ride with a geologist, which changed my outlook about rocks and natural pigments. We had many ideas on the trip!! Also, he has all the machines to cut and grind condense stones. When I am back home in January, I am gonna try with these materials and put into practice the ideas we had. When I was saying goodbye to him, he gave me some magnesium as a present to make black inks. So, next time I will try to add it and also play with the PH to discover different colors with the same ink and I hope to have many new things to show very soon. It's been so long since I've had this experience that it's hard to write about the details. I am very late in the activities and I feel I need to give an explanation. The recent events in my country have been extra ordinary and have consumed my time. You in the US understand the setback in every way that Trump represents, and here in Brazil we have just elected something even worse than the Trump. Today in Brazil, there is an increased climate of uncertainty and fear of the future. This is particularly true for teachers, artists, black people, women, indigenous people and environmental activists. I represent many of these categories and I'm afraid. And I have lost nights of sleep and I have had nightmares, seeing that the place I live, not only Brazil, but Goiàs, state where I live is at risk. I am talking about these events, because they are part of thr scenario that we face today and it is a scenario includes an increased threat to the already precarious ecological balance of Brazil. This balance is of importance not only to the country but also to the world. In a country that is already racked first in assassinations of environmental activists, declarations of ending protections and opening up vast areas (including the amazon) to commercial interests have only worsen the situation. It is very worrying and the world needs to know what is happening here. With regard to colorants, prior to the elections, I practically reused the fabric dyes and reduced them for a few hours to get a concentrate of the paint. The eucalyptus got a little weak and the avocado did not work. It was weak and very rusty. It has raised the question of how to preserve these inks. I used coffee and the blackberrys (as they are in season) to make new inks and I think they were the best results. The process was the same, reducing them until they were thicker. I would very much like to have use fruits from the cerrado, but when I was making the reductions it was not fruit season yet. I did try using the peelings of fruits like mutamba (it is used by the traditional people to make juice and also wash hair) but it did not work. Later, i was distracted by the political events I described and could not focus on much else including, unfortunately, the course activities. I am learning to deal with the situation and hope to return to these activities now. I do not know if I can still teach in Brazil, but I keep my excitement about education, the defense of the environment and the search for new solutions. The following is a link to a companion explaining our political situation in English to anyone who is interested. I had many chalenges in this session, but i learn a lot trying to find solutions. It was richenss in the social relationship but also substancial in the way i discover more about the enviroment i am living and also nice to understand the quesmestry process involved in the dye. Trying to think about how to get the natural dye, i thought about the organic market that happens almost everyday in the town, but they rarely have any onions. One of my old students is the daughter of the owner of a supermarket so I asked her to collect and keep onion skins that they usually throw away. I thought it was a good opportunity to involve her in the project. I also went to some of the other supermarkets and asked them to save the skins for me too. Its very funny, actually they have a specifically day of the week to peel the onions, but most of them are not purple but the white ones. As I was afraid that I wouldn't have enough skins I looked for avocados and other solutions, as I believe that the Brazilian savana has a wide richness in these things. I watched a video about avocado natural ink and decided to try it. I also think that it makes sense to try it as it would respect the environment around me more. If the local producer doesn't have onions it must be for a certain reason. Also around here there are many avocado trees despite it is not being originally from the Brazilian savana. There was a girl with a big basket of avocados in the market. She gave me 3 which were too mature to sell. For that entire week (and actually until today), someone gives me bags of onion skins every time I go to the supermarket! I collected so much, that I now don't know what to do with them! I researched natural inks in Brazilian savana and I discovered many different trees, barks, leafs and fruits. I couldn't find some of them in the town, but its already wonderful to know that! Wondering about the project, I realize that I don't have access to woollen yarn and the cotton trees are not in bloom right now, so I decide to ink use old clothes and rags. I thought about going to the seamstress but I managed to get some from another teacher that had some left over from another activity. I couldn't find anything that would work as a mordant in the pharmacy or in the market so I had to use natural ones. I was looking for a pan to use and my aunt gave me two rusty pans, in the material we read it said that rust could serve as a mordant so I use that! First of all I washed the fabric using natural water. Them I filled one of the rusty pans with water and let it boil for a while with vinegar. And in another rusty pan I boiled the water with the avocado. Apart from the avocado all these pans was supposed to serve as a mordant as well. But the eucalyptus water gave a incredible color, so I decide to try it as a dye. I left te fabric in the pan with vinegar an water over night. The first dye I tried was the avocado one, as the mordant and dye were already mixed together. I was expecting to get a pink colour with the avocado, but it turned into a deep purple. I imagine it was because of the rust, but I liked the color anyway. The next day I washed the fabric that I had left soaking in the rust and vinegar mordant. 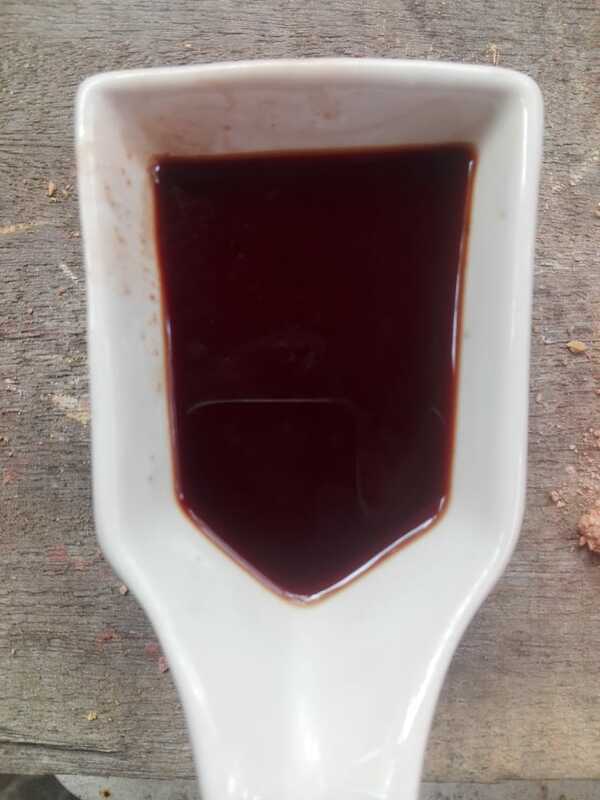 I made a white onion skin dye in a rusty pan and the water became black. I put the fabric in it and it became green. I repeated the process with the onion in a normal pan. It first became an orange solution but then turned green as well, I imagine because of the mordant once again. Then, I wanted to get a pink from the avocado but still have the pomegranate. I put them together and the colour was kind of yellow/orange similar to the onion skins. When I soak the fabric in it, it turned purple again. I did same process with the eucalyptus leaf and it bacame purple as well. Well, the rusty mordant changed the colours a lot! It was huge interference. I would like to try it with salt as a mordant or something else. But iI didn't have any, fabric left. I was going to use rags (for cleaning floors), but they were too dirty too use. Was really nice to do this experiment. I feel that it really started to involve the city with the project. People are asking me how it went, they are curious about it and they seem to want to be part of it. I wanted to make and exhibition or do something else with the dyed fabric but I didn't have a complete idea that made sense and that involved the city, having an ecological and sustainable knowledge or having a nice presentation. I wanted to make a display of little pieces of color or glue the dyed fabric on wood with beeswax. But in the results of the color and texture weren't what I expected and I so I gave up on those ideias. I am still trying to find a solution for this. But in the pictures you can some sketches, wondering about drawing something with charcoal sticks or to write something that makes sense for this reality. I found the text very interesting. I lived in Belgium for a while and so I read the text in the original dutch and it was interesting to read about the Commons and the general idea of the concept along side my experience and memories of Belgian culture and social structure. I have seen similar ideas appearing and gaining traction for example with the self sustainable communities, permaculture groups and even in the democratic schools. 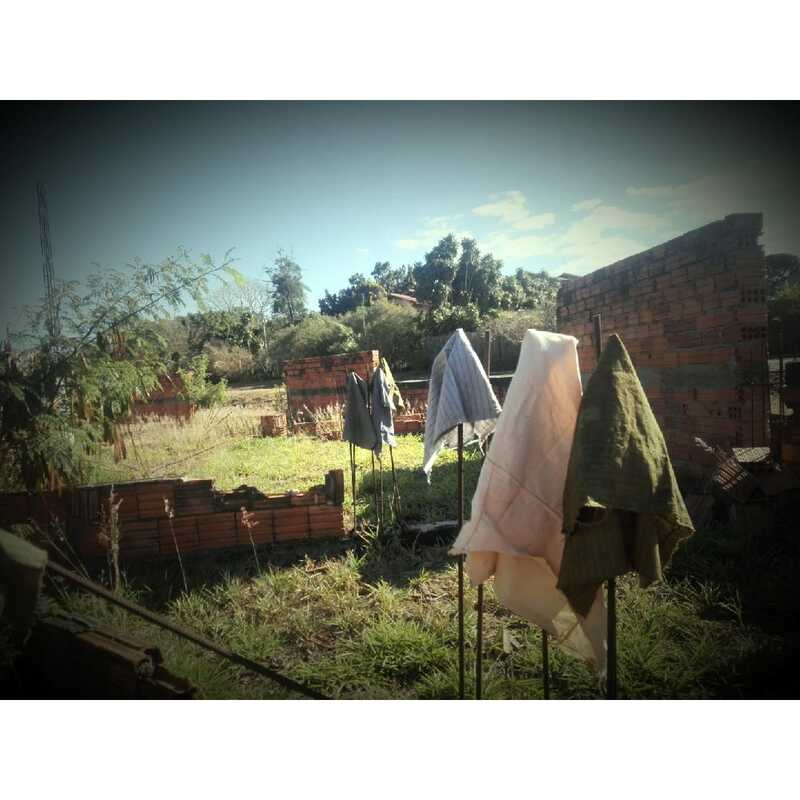 In Brazil, at least, we see these examples in many places but I believe its a tendency all around the world, as we have the wwoof.net site and other initiatives. The democratic schools are just like this, they build a structure of rules together with parents, teachers and students. Any problem, idea or suggestion are discussed in assembly. Some of these schools apply the "Democratic" part literally and reproduce outside society. The students elect a mayor or a president and their representatives in the school. The children take responsibility and deal with planning, conflicts and different ways to make things work in a better way. But others are more flexible. They have the assembly structure and the collective approach to problem solving but not necessarily the formal roles. I believe that the marjory of commons have arisen today because they are looking for a new way to build a different world. One that has in it more equality and is a fairer society, using things like crowndfounding to organize themselves. But also it got me thinking about a different example of the commons from history, one which today is partly sustained buy the government because of past injustices. Goiás (the state in Brazil where I live) is home to the biggest Quilombo** community in the country. They fought for their freedom and hid themselves in places of difficult access, such as in the mountains to escape the brutality of slavery. These communities where a kind of common and today still work in similar ways, although now they have support from the government (this is always tenuous, but now even more so due to one of the leading presidential candidates promising that if he wins he will strip away their rights to the land they occupy and their self determination). There, they elect their own community representatives, including a president, and decide collectively how resources, infrastructure and their rights will be manage. They have some jurisdiction over their own territory with some finical and infrastructure support from the federal government. The basis for these communities and the more recent commons phenomenon is that they are trying to build a new world where people respect each other more and create new rules together to live by. Its funny, but I went to a meeting this week around the same time I started to read this text and I realised that it was like a illustration of what the director of the school was trying to say. She started a school based on "natural learning", a method that was made famous by a school in Ecuador. Basically the facilitator (there are no teachers) is not aloud to interfere in anything or to propose activities to the children, unless the children propose it themselves or ask directly about something. The director, however, is trying to build something beyond the school and to create a kind of "life style" based on creating collectively and on exchange. For example labor and knowhow can be exchanged for a place to stay and meals. But in my opinion this method has limites. We still live in a capitalist society and you will need money at some point to buy necessities or even health care and so on. I think the ideas o the commons is a beautiful initiative and I want to live in a world where it is possible to collectively create our own rules and have some self determination. I think there are still many obstacles to achieve this however and we need to overcome these in order to create it. ** The Quilombos are communities composed of run away slaves who fled from the plantations and mines during the colonial period in Brazil. The Quilombos exited ever since the first African slaves were brought here but they exploded in number between the 18th and 19th centuries. Many communities where organised in similar ways to the traditional methods in Africa. ​The recycled paper experience was a little laborious with many challenges. The first obstacles was the collection of the material including the paper to recycle and the equipment needed to do the process. A week ago, I visited the bars, restaurants and stores around my work explaining the project and asking them to collect paper for me but as it is peek vacation season here they all pretty much where too busy to help. At the same time I visited the local seamstress looking for fabric to use as a sieve. When I explained the project she told me she had many magazines from the 70's that she was throwing away. So with this visit I was able to acquire two elements of what I needed. I had already made recycled paper when I was a kid and more recently I was experimenting with it in relation to zero waste. But when I moved I had to place some of my things in storage and didn't have those materials with me. I wanted to solve this in a way where I did not need to buy anything, making or reusing the materials I needed. My first idea was to use a workman's sieve, which is used in here on construction sites to sift the rocks from sand or to sort out beans or coffee on the plantations. I lost a couple of days thinking how I would do it. Overlapping the screen over itself or with another material. A possible solution was to use the fabric that I got from the seamstress. She had explained to me that it was generally used locally to strain milk to make dairy products or corn to make cornflower. I sewed it onto the workman's sieve and it looked like it was going to work until I realised it was way to big for the plastic basin I was using. With time running out and unable to find another container big enough I decided that I would have to go to the market and see if I could find something smaller. I found a kind of pan sieve that came in different sizes and was flat which meant they could fit neatly into each other. I cut up the old needlework magazines and used a hand mixer to mix them up. I don't have a blender but the mixer worked (although the outcome wasn't quite what I expected). The final paper had big pieces and it was a little bulky, but I did my best. I also decide to use saffron to give a different coloration, more interesting than dirty grey, and also was the easiest pigment I had to hand. We are right in the middle of winter vacation in Brazil and I live in a town that is very dependent on tourism. Everybody is working around the clock right now during high season it's hard to get people to participate in workshops and things like this at the moment. But during the afternoons my neighbour babysits in the house next door. We share a garden so as I was preparing to make the paper one of the girls came over to have a look. She was very keen to help and got stuck in with the mission, which means that the results you are seeing was produced by four hands, mine and those of Luana, 6 years old. We did the first test and saw that it worked so we started to add different elements that we found in our garden to the recycled paper. We used littler purple flowers, pieces fo the cotton tree and dry leaves. The results are interesting but I feel that the texture of the paper paste interfered with the results and that the silk layer was missing. I focused more on researching the materials for the production and in trying to find ways of repurposing things that I found so the paper it self didn't come out as good as I'd hoped but me and Luana are working on it. I believe in a open, free and fluid education with network learning based on autonomy and independence. I believe that art and environmental education naturally incorporates these ideas. Officially, in Brazil, sustainability and eviromenetal education is viewed as a transversal and fundamental, which means that it should be discussed and taught within all subject areas. However, in most of the schools, overworked teachers have time little to invest in the inclusion of these themes and rarely have the knowledge or training to even regard it as a priority. So with these difficulties how is it possible to work with these themes? The reality is that we are not working with sustainable themes and providing the environmental education in a transversal way to students or teachers (let alone parents and communities etc). On the rare occasions that we do manage to have some sort of environmental education it is always more or less the same, make a toy with recycled material, which generally goes into the trash the next day... If we don't have complex thought and make connections with all the knowledge that surrounds us, it's not possible to have a real impact in the day to day reality. Sustainable ways of thinking and choosing for me is associated with art because it is about rethinking the way we look at the world and the way we live in it. It is about looking for new answers and finding alternatives to old problems. For me this the same for art. We you are creating solutions to or inverting "norms", you are doing the exercise of looking again and finding new meanings. This is an important part of the art world. When Ivan writes about "the sustainable art studio" I agreed with it so much that it seemed like I had written it myself. The idea that is not just a subject but a life style, that it can bring the communities together, the magic the environment contains, the way we can look differently at the place we inhabit and have a different relationship with it all. And how all this is connect with a different way to deal with education. A education of and for the future. Three years ago I started to get interested in the zero-waste movement and to change radically my relationship with the world. I started to avoid packaging and plastic whenever possible and realised that it was possible to live comfortably consuming a lot less and producing my own cleaning and beauty products, eating unprocessed foods and looking for organic stuff. With zero waste in my life, I've found that nature has a lot of the answers to daily questions, that they are much simpler than you think and that we can produce the vast majority of things on our own. I started to try and live with as little waste as possible at home but it lead me to also rethink about the raw materials that I used in my work as a fine artist. I started looking at how the pigments were produced and if it was possible for me to do it myself without having to buy paint, which is mostly toxic and involves massive industrialised process including it's importation, fuel waste, badly paid workers, lots of packaging and all this at a very high cost. In Brazil, good paint is always imported and costs up to four times more than in the US or Europe. 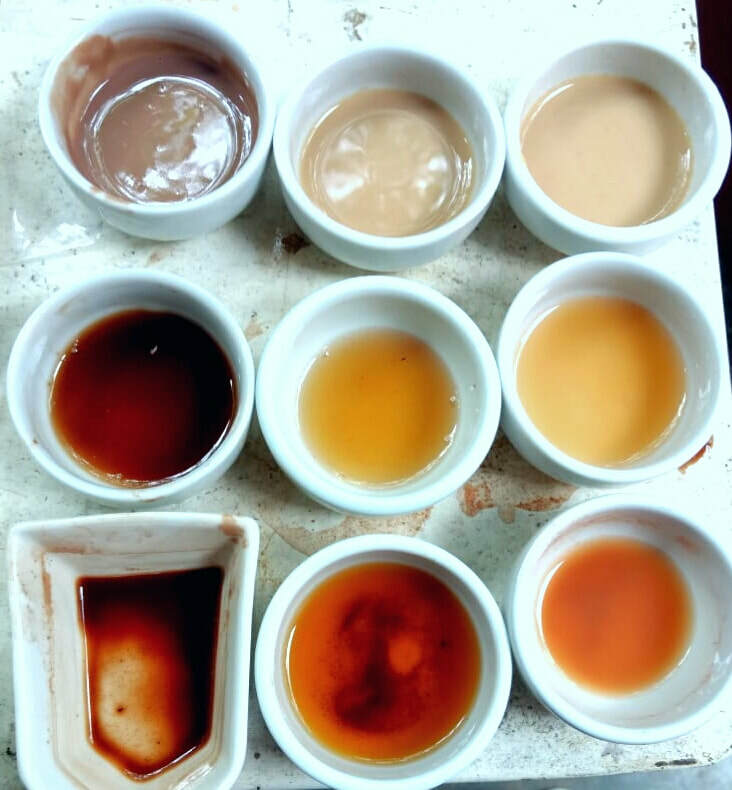 Looking for alternatives and answers I asked my then college professors about natural pigments but they told me that it was impossible, because everything found in nature was dye and not pigment, which would not be useful to make work. I was discouraged but the desire to discover natural dyes and pigments remained with me. During my final year at university I wrote a thesis combining art and the environment. I encountered some difficulties due to the fact that no one at the university knew much about art and sustainability or environmental education, so I had to discover and research it myself. The zero waste life style gave me a kind of general understanding and made me more conscious about where my products came from and where it goes when it is thrown away. As well as what the product is made of or who is benefiting with my purchase. My intention with my thesis and the workshop I gave, was to provide a "complex reasoning" of the world and enable people to look again at their daily consumption and at the reality we are presented with. I based this on the work of the sociologist Edgar Morin in the "Seven Complex Lessons in Education " and "The introduction to the complex thought". It was a waste awareness workshop, which utilised artistic observation and self reflection to emphasise the amount of waste each one of us produces. Whilst putting together these workshops the urge to work with the natural pigments resurfaced but I still didn't know how to produce them. After graduating I moved from São Paulo, a huge metropolis of 14 million people to a small town in the middle of Brazil in the hopes of living in closer contact with nature and to live in a more sustainable way. The area is known as the Brazilian savannah and the cradle of rivers as some of the major rivers of the country begin here. It is a place of spectacular scenery with unique plants and animals. The Cerrado (as it is called here) contains natural remedies, surprises and a wealth of traditional knowledge in almost every tree that you walk by. Despite being a very beautiful place and also serving as the model of the 17 SDGs (Sustainable Development Goals) there are stark contrasts in wealth, present in the whole country, where very poor people have little to no access to decent education and health services in this small town of around 5,000 inhabitants. The inequality is aparante and has been exacerbated by the buying up of land and houses by foreign investors and the influx of more affluent people form the big cities. This has driven a wedge between the people that where here already and that had a connection to the land and and those coming in now, isolating these groups. This results in people that live here totally unaware of their surroundings and unaware of the knowledge possessed by those that have been working the land for centuries, their traditions and sustainable ways of producing and living. In a more general way it also means that people tend to reproduce the bad habits of the big cities and repeat mistakes in trying to develop the region. As a teacher, fine artist and part of the zero-waste movement, I wanted to try and bring the techniques that I had learnt to raise awareness of these issues and to help people engage more with their surroundings. One way is by combining art and ideias of zero-waste to talk about nature as with the workshops I had given before. 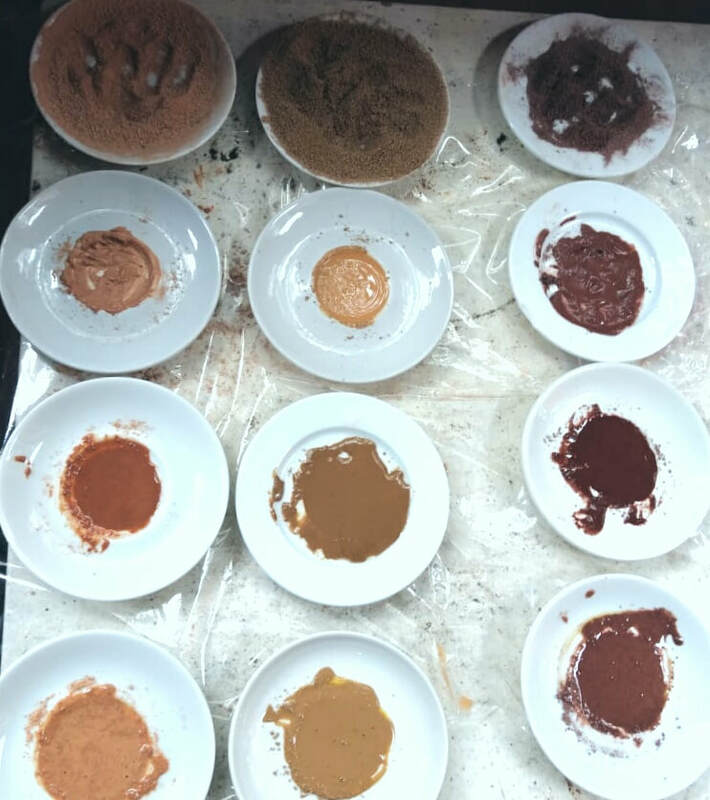 Working with natural pigments is a great way to raise this awareness and also to link to the importance of preserving the Cerrado, promoting integration with the city and nature that surrounds us and showing that these materials are available to everyone in a very democratic way. ​Working with art is important as it can be used as a transversal subject to get in many important topics. But I'm working with children that have never had an art education before, which makes this dialog even more necessary and somehow, more exciting. ​As soon as I arrived here I looked for natural dyes and found only black dye (mango leaf) and orange dye (saffron) which are already being used here. But with the richness of materials here I know that there must be ways of producing others. I would like to use the pigments with the children I am teaching now, doing environmental education projects and workshops through art. I hope that one day I can take these workshops to other communities in the area, to encourage more exchange of ideas, workshops and training to help communicate these ideas in the region.. And also learn with them. Talking about my personal work as an artist (which is not separated from the classes, as a I believe in collaborative classrooms as a collective and individual process) I am developing work with a beeswax (encaustic process), natural ink and wood which I propose to show the reliefs, contrasts of the peaks and troughs, colours and shadows of the landscape of the cerrado. So for me, in this journey I have been on looking for alternative ways to produce materials, I can not really express in words how enriching it is to participate in the online course of CAES. I believe that it is the missing piece for my growth as a teacher, artist, and to live in a more zero-waste lifestyle.